19 Dacre Street was acquired from a private investor for £17.6 million in May 2016. Arbrook Land will comprehensively refurbish and extend the property situated close to St James’s Park. The completed scheme will include circa 5,000 sqft of new retail accommodation and 20,000 sqft of new offices. 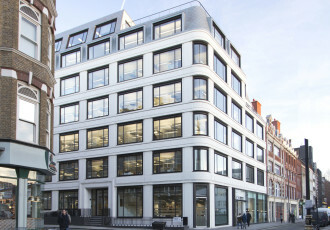 72 Broadwick Street was acquired from the University Superannuation Scheme for £67 million in January 2015. 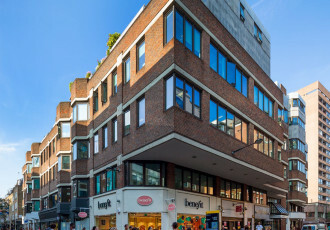 Arbrook Land will be managing the future redevelopment of this landmark Soho building, situated on an island site fronting Broadwick Street and Carnaby Street, for Legal & General Capital and Dutch pension fund manager PGGM. The property includes over 11,000 sq ft of residential space and 54,000 sq ft of offices let to the National Magazine Company (parent company Hearst Corporation) until September 2018. The property was acquired in September 2014 with Palmer Capital / CBRE Global Investors to create a £23 million mixed-use development scheme with views over the River Thames. 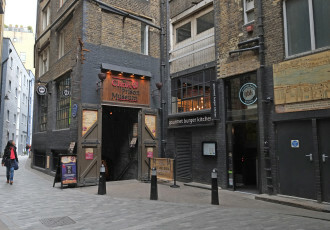 This historic former warehouse building is situated in a prime Southwark location near Borough Market. 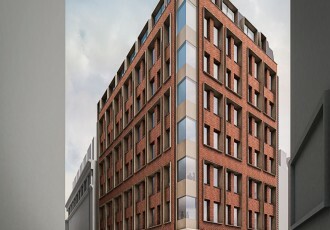 Providing a total of 20,000 sq ft, the building will be refurbished as a high end mixed-use scheme to include penthouse apartments, offices and retail units. This Grade II listed 15,000 sq ft building was acquired in July 2011 from Minerva for £5.9 million. The property, located opposite Cannon Street station, has five floors of offices above a retail unit. A major refurbishment was undertaken to combine a high quality fit-out and contemporary reception area with the retention of some original features, including the classic façade and high floor to ceiling heights. Having full let the building to Reed Professional Services, Eidosmedia and Kyocera it was sold for £17.2 million in 2014. Our investors doubled their money in this project. 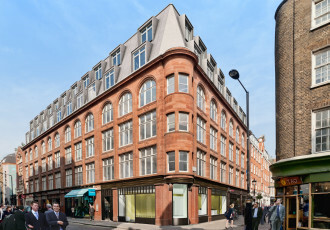 Acquired by Legal & General in September 2011 for £32.8 million from Scottish Widows, this property occupies a prominent corner position in the heart of Soho and was originally built in 1906 as the London Headquarters of film pioneers Pathè Freres. It has been comprehensively refurbished to create 34,000 sq ft of high quality open-plan office space with retail units below. Floor plates of approximately 7,000 sq ft have triple aspect windows and external terraces. The property was fully let in 2014 to tenants including Sheridans, Wagamama, Thoughtworks and Angela Mortimer. 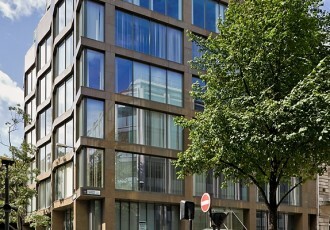 The property is located on the corner of Rathbone Place and Gresse Street in London’s Fitzrovia. It was acquired for £23.35 million from a private overseas investor in July 2010 by Lothbury Investment Management. The building was comprehensively refurbished and extended to create more than 40,000 sq ft of modern high quality offices on this prominent corner site. 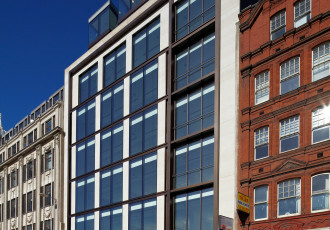 The property, which is now worth in excess of £65 million, has been let to Sony, Havas, and Money Supermarket.com. The property, which is located within 100 metres of the Bank of England in the City of London, was acquired with GE Capital Real Estate. Planning permission and conservation area consent were obtained to increase the size of the building from 15,000 sq ft to 30,000 sq ft. 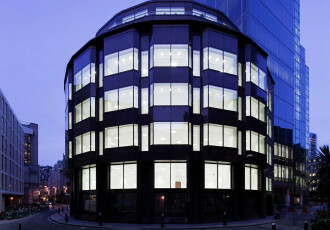 The building was completed in August 2009 and is now fully let to tenants including Allsops LLP, dutch law firm Nauta Dutilh, ITSU, Barbican, and 752 Solutions. The property is located in the City of London close to the LLoyd’s Registry of Shipping and Fenchurch Street mainline station. A major refurbishment of the 20,000 sq ft office building was undertaken, working with GE Capital Real Estate, and it is now completed and fully let. 155 Fenchurch Street, totalling 33,200 sq ft of office, retail and restaurant accommodation, was purchased from Munich Ergo Asset Management GmbH with Palmer Capital. Planning permission and conservation area consent were obtained to increase the overall size of the building to 43,000 sq ft, including creation of a new façade to Fenchurch Street. 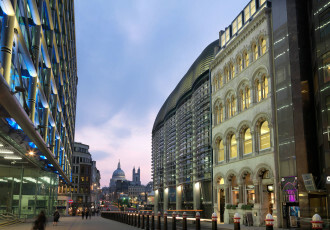 The redevelopment was completed in February 2010 and the office space has been let to tenants including Canary Wharf / Land Securities, Prime Professions and Jardine Lloyd Thompson.